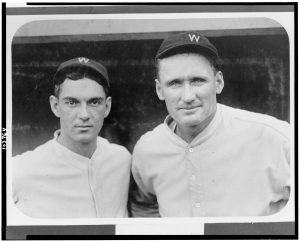 The pitcher and catcher collectively.
. 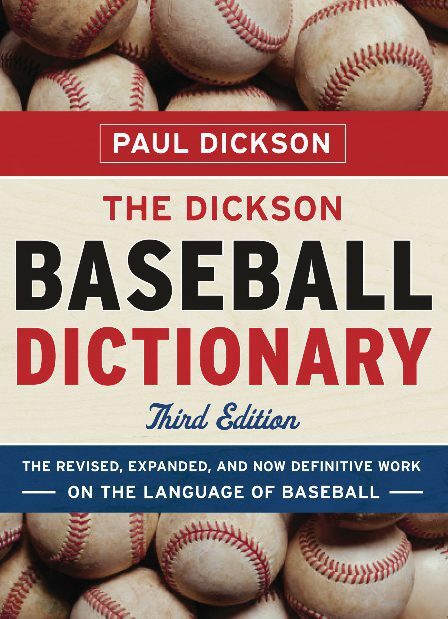 In Steve Kluger’s novel Changing Pitches (1984), a successful battery is described as one in which the pitcher and catcher could switch brains and nobody would know the difference. 1st use. 1868 (Chadwick Scrapbooks; Edward J. Nichols). etymology. In 1881, John Montgomery Ward recruited pitcher Charlie Sweeney and catcher Sandy Nava for Providence during a coast-to-coast barnstorming trip. After they proved successful together in California, the press dubbed the 1884 Sweeney/Nava combination as “the California battery.” In his book Base-Ball: How to Become a Player (1888, pp.46, 65), Ward used the analogy of the pitcher and catcher as the positive and negative poles, respectively, of an electric battery. 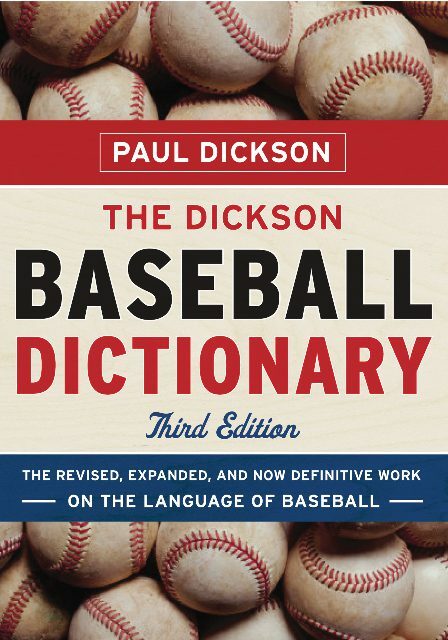 The explanation offered by Richard G. Knowles and Richard Morton (Baseball, 1896) is that the term “has its origin in telegraphy, the pitcher being the transmitter, and the catcher the receiver.” However, Henry Chadwick (Technical Terms of Baseball, 1897) clearly implies a military borrowing when he gives this definition: “This is the term applied to the pitcher and catcher of a team. It is the main attacking force of the little army of nine players in the field in a contest.” Most later attempts to pin a history on the term have alluded to this comparison to a military artillery unit or battery, in which the “catcher” provides ammunition for a raised work or parapet (“battery”) where guns are mounted and where the “pitcher” fires it. P.P. Rohrbaugh (Glen Rock, Pa.) provided the following explanation (The Sporting News, Jan. 11, 1940): “The pitcher . . . is the gun and armed with a ‘ball,’ which is also a bullet and which he shoots at the batsman. . . . If the ball is missed by the batsman, it is returned by the catcher to be loaded into the gun, which happens to be the pitcher. Remember ‘Bullet Joe Bush.’” The following week, The Sporting News (Jan. 18, 1940) printed Frank J. Reiter’s (Kenmore, N.Y.) contrived attempt to explain the origin of the term: “General Abner Doubleday, the founder of baseball, being a military man, may have originated the phrase, or someone in the army so named it in honor of General Doubleday. As the word ‘fire’ is a military command, and as the pitcher literally ‘fires’ the ball to the plate much in the same manner as a field artillery battery fires a cannon, this may have prompted the name of a military unit to be applied to the pitcher and catcher.” 2. hist. A term commonly used in the late 19th century for the pitcher alone. The Ohio State Journal (Apr. 1891; John Lewis) noted that Columbus had three good batteries, referring to the pitchers only.